Sitting Oakland city council and school board members won’t have to get out of their chairs; incumbents swept the seven combined seats up for re-election Tuesday. Still, many candidates say their victors were soured by the outcome of the presidential election. District 1 councilmember Dan Kalb, who represents North Oakland, took 80 percent of the vote in his district. His challenger, Kevin Corbett, received less than 20 percent. There were 18 write-in votes. “I’m very pleased and excited it passed,” Kalb said Wednesday. “We still have a lot of work to do.” He said public safety goes hand-in-hand with a well-trained and well-staffed police force and officers who are held accountable for their actions. Statewide, propositions Kalb supported, such as 55 (keeps tax increase on people who make more than $250,000), 57 (which grants parole to non-violent offenders), and 67 (upholding the plastic bag ban) also went through. Kalb said he is concerned about the Republican takeover of the House and the Senate, namely how it could affect state and federal funding of important issues, such as the Affordable Care Act or important regulations regarding climate change. 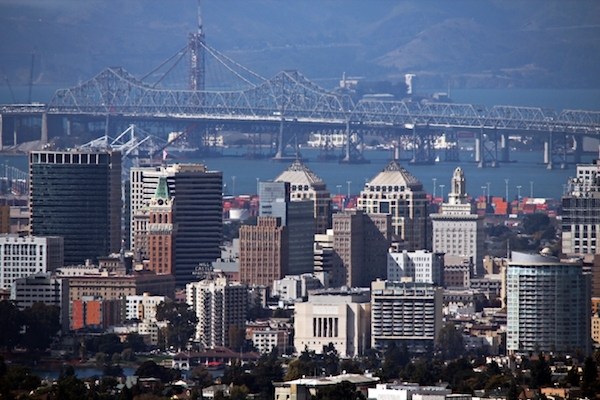 “Oakland, the Bay Area, we’re not an island,” Kalb said. Other council races didn’t result in nearly as large landslide as Kalb’s victory, but incumbents were the clear victors. Rebecca Kaplan, council member at-large, received 53 percent of the votes, while challengers Peggy Moore and Bruce Quan received 19 and 16 percent of the vote respectively. Write-in candidates received 153 votes. Lynette Gibson McElhaney of District 3 received 58 percent of the vote while 41 percent of voters chose Noni Session. Twenty-four voters chose a write-in candidate. While non-profit CEO Viola Gonzales may have out fund-raised incumbent Noel Gallo $73,042 to $44,320 for the District 5 seat, Gallo beat her in the polls 57 to 42 percent. Write-in candidates accounted for 14 votes. District 7’s incumbent Larry Reid received 55 percent of the vote. Challenger Marcie Hodge received 24 percent and Nehanda Imara received 19 percent. In Oakland Unified School District (OUSD) board races, incumbents were also victorious over their challengers. Voters re-elected James Harris in District 7, Rosie Torres in District 5, Jumoke Hinton Hodge in District 3, and Jody London in District 1. “The voters of Oakland like the direction the school board is going,” London said, adding the 81 percent of voters approved a parcel tax to benefit Oakland schools, which she said provides further proof of that. She won re-election in her district with 76 percent of the votes. Her challenger, Don Macleay, received 23 percent. She said she will continue to work on goals already in motion, including making sure every Oakland neighborhood has a school parents feel is safe for their children to attend, and working with existing charter schools without approving contracts for new ones. “We agree on more than what we disagree on,” London said of the relationship between public and charter schools.